David Costa is the RenegadeAV8R. This show is about aviation, but it is not just for people who love aviation. If you like a positive message, finding your passion and achieving goals, you will find it here. David promotes aviation and the power of the individual. The RenegadeAV8R combines his radio show with a jet airshow team that can be seen at airshows across North America. He flies high performance jet aircraft and provides coaching to pilots who want to reach elite status. David is also is called upon as a pilot expert in addition to his corporate jet management business. David lives in Reno, with his wife and 2 daughters, when not living at home….he is living the dream, flying airplanes from vintage aircraft to jet fighters. The world is a funny place! 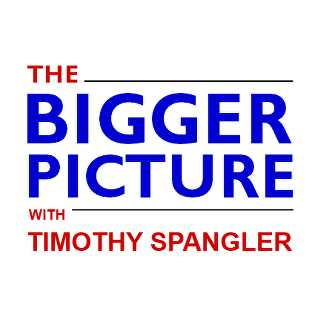 Since March 2013 , “THE BIGGER PICTURE with Timothy Spangler” has been the Sunday night destination radio call-in show in the Los Angeles market! Broadcasting LIVE from the studios of SRN-affiliate AM870 the Answer from 10pm to midnight on Sunday nights, “THE BIGGER PICTURE” covers a wide range of issues both domestic and international, all with a unique blend of humor and wry observation that sets the show apart from other late-night radio offerings! In addition to a witty banter and a wide range of celebrity guests – we are based in LA, you know! – audience callers play a central role in each week’s show. While engaging traditional AM talk radio audiences, “THE BIGGER PICTURE” also effectively brings in younger and more diverse demographics to the show (and the stations that carry it). 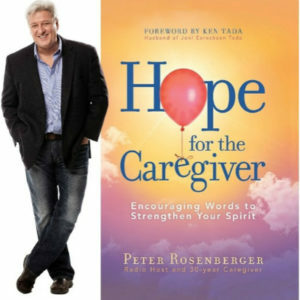 Hosted by Timothy Spangler, award-winning commentator and author, “THE BIGGER PICTURE” combines the best elements of “hot talk” and current events to attract late night radio listeners who crave intellectual stimulation and laughs! Timothy Spangler is a prolific commentator on topics related to the intersection of politics and economics. After prolonged stays in New York and the United Kingdom, he eventually returned home to sunny Southern California, a decision he still questions daily. When in London, he can often be found watching his beloved Fulham Football Club from the Hammersmith End of Craven Cottage. For more information about bringing THE BIGGER PICTURE with Timothy Spangler to your station, contact Timothy Spangler at info@biggerpictureradio.com or call 310 357 6797. Eye On The Target is a live, two hour variety show produced each Sunday night. They cover the news and answer calls from listeners. Hosts Rob Campbell and Amanda Suffecool are brother and sister, and their sibling rivalry is part of their signature style. They are the children of nomadic gun geeks. They were forced at an early age to wander across the midwest from gun-show to shooting competition. They translate questions about firearms training, self-defense, firearms, legislation and politics into understandable language designed for a general audience. A call or topic doesn’t go by without a poke at each other or a friend of the show. Bob and Amanda translate gun-geek into understandable English designed for a general audience. Call in with your question about how to start your self-defense education, about the obscure firearm you found, or bring that strange question you always wanted to ask. Eye On The Target airs each Sunday from 5-7pm ET on the Westwood One XDS platform premiering September 16, 2018. You can schedule “SRN3 – Eye On The Target” at http://myxdsreceiver.cmneng.com. Please send any technical questions to techsupport@srnradio.com. Two hours of sports talk with a unique give and take that only a father and son can deliver. Every Sunday night from 9-11pm Eastern, Don and Galen will dive into the week’s biggest sports events and break down the “how it happened” and “why it happened” behind the headlines. Don and Galen are committed to the fans’ point of view, keeping them informed with the facts they care about, and making sports as fun and interesting as it’s intended to be. The Legendary American Sports Broadcaster and the voice of Notre Dame Football on IMG Sports Network. Don holds the record for longest-tenured broadcaster of one sports league in U.S. TV history, having called NFL football for 47 seasons (1967-2013) on both NBC and CBS. His prolific career spans well beyond the NFL and includes announcing for the NCAA, NHL, PGA, Tennis and Olympic events. Don has served as a sports radio contributor for several New York City stations, including 20 years on WOR-AM’s “Rambling with Gambling” as well as “Imus in the Morning” on both WNBC and WFAN. Don and his wife Molly reside in New Jersey. They have 5 children and fifteen grandchildren. After graduating from Princeton University, where he was a member of the basketball team, Galen Criqui embarked on a career in the high stakes game of government bond trading on Wall Street, where he excelled. For the past ten years Galen has been involved in private investments and coaching basketball (pro bono) on many levels from his own children’s teams as well as high school basketball. He now brings his passion for competition to broadcasting. Galen lives in New Jersey with his wife Nelly, their daughter and two sons. Log in to your Westwood One XDS receiver at http://myxdsreceiver.cmneng.com to schedule Sunday Night Sports Talk or contact Derek Anderson at (972) 707-6904 with technical questions. 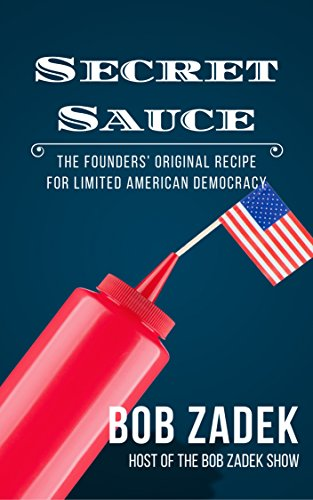 He recently released an ebook of his best interviews, Secret Sauce: The Founders’ Original Recipe for Limited American Democracy, featuring insights from eight top scholars on where the American experiment with constitutionally-limited democracy went wrong. America’s source for “politically-incorrect” and “always right” news and opinion – is bringing its insightful analysis to radio. 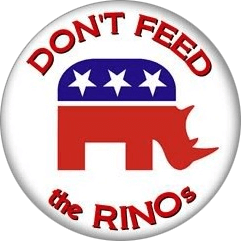 “The Strident Conservative” is a two minute daily commentary that focuses on the news and issues relevant to Conservatives and the Constitution. With a focus on holding our political and spiritual leaders accountable for the decline of American greatness, The Strident Conservative is an equal-opportunity critic, holding members of every political stripe accountable. In addition to www.stridentconservative.com, you can find The Strident Conservative at www.RedState.com. For more information about the commentary, please contact David Leach at david@stridentconservative.com.